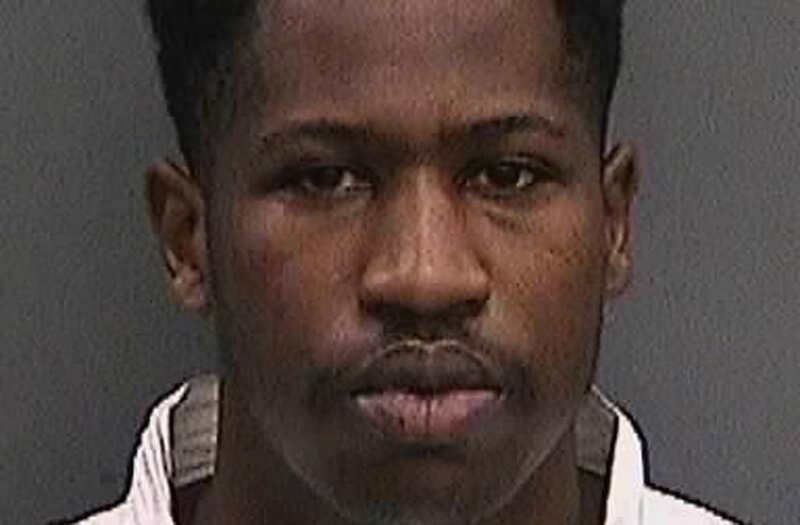 The suspect in a series of fatal shootings in Tampa, Florida is facing the death penalty for his “unconscionable" crimes, prosecutors announced Tuesday. The 24-year-old suspect has been indicted on four counts of first-degree murder in connection with four fatal shootings in the Seminole Heights neighborhood in October and November. Warren said the case, in which Donaldson allegedly “murdered four innocent victims in a cold, calculated and premeditated manner” qualified for the ultimate sentence. Three people were found murdered in less than two weeks in the Seminole Heights neighborhood of Tampa, Florida. Howell Emanuel Donaldson III, facing murder charges for a string of deadly shootings in Tampa, is seen in this handout photo received November 29, 2017. Tampa Police Department/Handout via REUTERS ATTENTION EDITORS - THIS IMAGE WAS PROVIDED BY A THIRD PARTY. Howell Emanuel Donaldson III, facing murder charges for a string of deadly shootings in Tampa, is seen in this handout photo received November 29, 2017. We have added over 1000 streetlights in Seminole Heights. You've seen our men out there. We're not stopping until we catch this guy. “A prosecutor’s pursuit of justice should be tempered by mercy, but some crimes are so unconscionable, so hard to fathom that we must leave mercy to a higher power and focus on achieving justice for victims and their families,” he said during a news conference. Donaldson was arrested in November, after a co-worker at McDonald's found a gun he had left at the fast-food chain and called police. That loaded weapon, a .40 caliber Glock, linked him to the killings, authorities have said. On Oct. 9, 22-year-old Benjamin Mitchell was shot while he was waiting for a bus. On Oct. 13, 32-year-old Monica Hoffa was found dead in a vacant lot. On Oct. 19, 20-year-old Anthony Naiboa was killed while he was walking. On Nov. 14, the body of 60-year-old Ronald Felton was found near the scene of a memorial honoring the first three victims. Investigators have not yet given a motive for the ambush killings. Kenny Hoffa, Monica Hoffa's father, told NBC News that he believed prosecutors made the right decision. James Felton, brother of Ronald Felton, said that while he accepted the decision, he wanted Donaldson to live with the ramifications of what he is accused of doing. But, he said, he’s willing to accept the state attorney’s decision. “I can’t judge and say 'OK, give him the death' — but I have to accept the law,” he said.